People rushed to the casino after MGM Springfield officially kicked off its grand opening day in August. In the 400-year history of Massachusetts, Tommy Hyland can now claim to a rare distinction: He is among the very first to be thrown out of a state-licensed business for doing math in his head. Hyland, a professional blackjack player who travels the country and uses card-counting strategies to improve his chances of winning, says he was kicked out of MGM Springfield earlier this week, and unceremoniously escorted off the property. MGM Springfield’s president, Mike Mathis, declined to say just how the casino recognizes card counters, but confirmed the casino has confronted “a handful” of them since opening Aug. 24. As the first licensed resort casino in Massachusetts, MGM Springfield offers the first live table games, such as blackjack. Among top-echelon blackjack players, Hyland, 62, of New Jersey, is well-known. He has been playing the game professionally most of his life. “I’ve had some tremendous wins and devastating losses,” Hyland said. “Overall, I’ve done well enough to make a living at it.” As an occupation, he likes gambling for the independence it offers and the mental challenge it provides. To put it simply, card counters keep track of the cards that have been dealt onto the blackjack table. From what has been dealt, they deduce what cards have not yet been played. If lots of high cards are still available, the upcoming hands favor the player. You might want to increase your wager. Lots of low cards remaining? That favors the house. There are different techniques to keep track of the cards. For example, a card counter may maintain a running mental number, adding or subtracting as each card is dealt. When that number hits certain benchmarks, the player knows whether the odds are in his or her favor. In addition to banning players, casinos will attempt to frustrate card-counters by shuffling the deck more often to ruin the count. Hyland freely admits he has been thrown out of other MGM properties, and he is sure they have his photograph in a file of skilled players, shared among all of the company’s casinos. 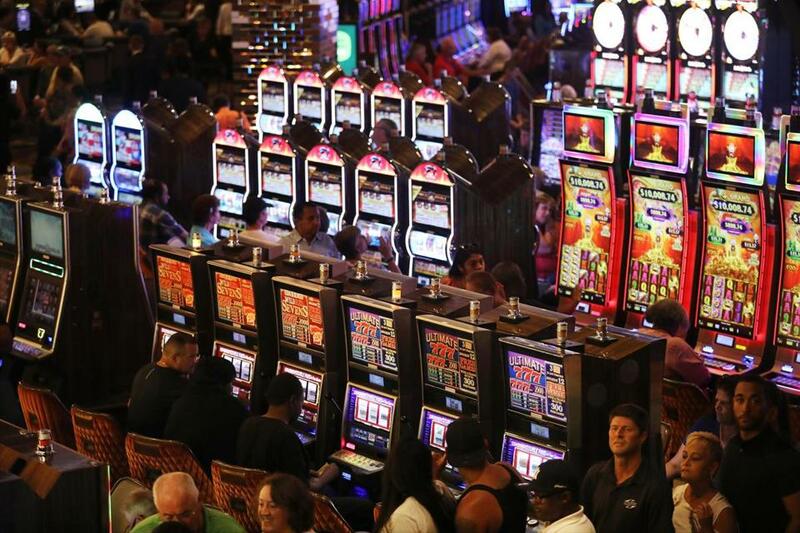 The casinos also hire people who understand card counting to work in security and be on the lookout for players who are using such techniques, he said. Others, such as MGM Springfield, he said, are much more brusque. Mark Arsenault can be reached at mark.arsenault@globe.com. Follow him on Twitter @bostonglobemark.